European Spatial Research and Policy is an international review concerned with the problems of social and economic space organisation at a local, regional and supranational level. The journal comprising both theoretical and empirical aspects of spatial analyses is aimed at academics, policy-makers and practitioners interested in a broad range of spatial development in contemporary Europe. The scope of the journal is defined by the concepts of space, environment, society and economy rather than by names of specific disciplines. Its main areas of interest include i.a. regional policy, spatial planning, European integration processes, locational studies, labour market developments, foreign investments, environmental problems and other crucial issues influencing the shape of contemporary and future European space. Contributions prepared by geographers and regional scientists, as well as economists, planners, architects, sociologists and historians who undertake spatial research within their respective disciplines reflect the interdisciplinary character of the review. 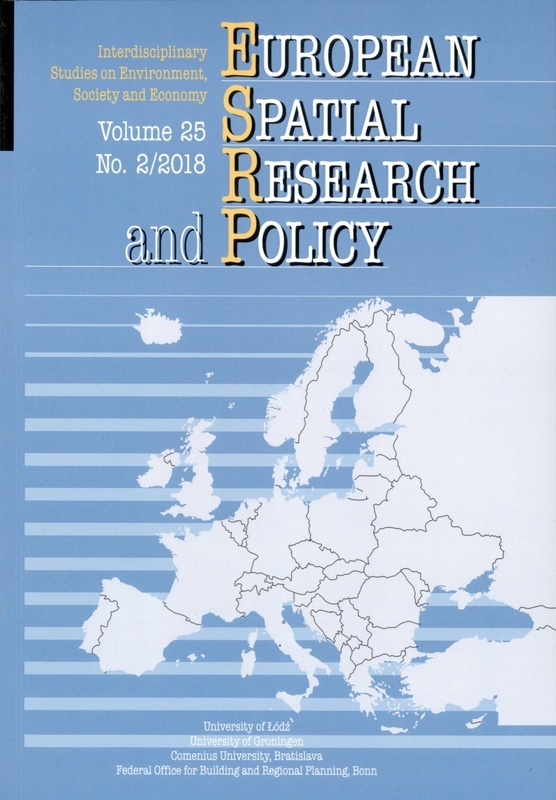 European Spatial Research and Policy is published annually as one volume consisting of two issues and includes refereed articles, notes, commentaries, reports and book reviews. The journal, being itself a result of close academic links of scholars and universities representing different countries, is an important forum for international exchange of information and opinions in the field of spatial studies.